Sean Rafferty presents top-class live music from some of the world's finest musicians. Music from K’antu Ensemble, Xuefei Yang and a premiere preview with Jessica Cottis. Sean Rafferty presents top class live music from some of the world's finest musicians. 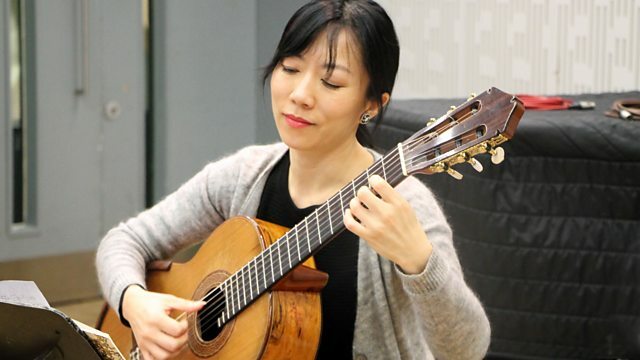 Combining elements of folk and world; the early music ensemble K’antu join us in the studio to perform live before their concert at Bridgewater Hall in Manchester on Friday 22nd February, and Classical guitarist Xuefei Yang, who will appear at Bath's Bachfest festival, also performs. We speak to conductor Jessica Cottis ahead of the Royal Opera House premiere of " The Monstrous Child " on Thursday 21st February. Orchestra: Royal Philharmonic Orchestra. Conductor: Jessica Cottis. Performer: Jess Gillam. Performer: John Harle. Orchestra: BBC Concert Orchestra. Conductor: Jessica Cottis. Orchestra: English Chamber Orchestra. Conductor: Jeffrey Tate. Performer: Jacob Heringman. Ensemble: Rose Consort of Viols. Orchestra: Royal Philharmonic Orchestra. Conductor: Barry Wordsworth. British Light Classics: Royal Philharmonic Orchestra/Barry Wandsworth. Orchestra: London Philharmonic Orchestra. Conductor: Bernard Haitink. Performer: Lars Vogt. Orchestra: City of Birmingham Symphony Orchestra. Conductor: Sir Simon Rattle. Beethoven: Piano Concertos 1 & 2: Vogt, Rattle.